No ones home and Sherlock's bored without a case to be had. The madness of his own mind drives him to the scuzziest parts of town for a fix. John was out again and the house was quiet. Mrs. Hudson was keeping her distance, knowing Sherlock was in a mood. He was always in a mood when John was gone too long though. Without John there, there was no one to understand him, not one to help him in his time of gnawing stagnation. His body twitched, itching from the lack of stimulation. Sherlock twisted and turned, ruffling his hair and adjusting his robe. Nothing he did brought him comfort. Around him colors began to lose their saturation, shapes blurred at the edges until they were no longer what they were meant to be. The world began to spin around and around and around, dizzying Sherlock to no end. He slammed his eyes shut, the only defense against the merry-go-round world. For days, this happened over and over until Sherlock ended up in darkness. He was helpless to his own mind, prisoner to his own thoughts. The twitching worsened, and the itching burned deeper until he actually began to claw at his own skin. Sherlock felt raw with madness eating away at him, consuming him. Finally, he stood and left. He didn’t bother with proper clothes or even proper shoes. Sherlock marched through London until he reached the grittiest parts of town, until he blended in with the ill-dressed inhabitants. Shattered and broken like the people around it, the buildings stood hollow and empty of feeling. Leaning against one of the many buildings was a woman. She was swearing two sweaters, a zip-up and hoodie with the hood pulled over her face and a pair of black track pants, her hands buried deep within their pockets. Her eyes darted back and forth, keeping watch for things that would never find their way here, for this place was abandoned by all. This place held no future, no dreams or ambitions. Even the police left this place alone. Sherlock strode up to the woman, their eye contact was the conversing they needed. She brought her hands from her pockets and traded with him what was in her hands for what was in his. Cash for a small bag. He nodded before turning away from her and made his way back to his flat without interruption. Mrs. Hudson was gone when he arrived and John too was still out, so Sherlock made his way up the stairs and got to work. He grabbed his tools and began cooking. When his meal was ready, Sherlock served himself up a heaping dose. As he felt it entering his system, Sherlock laid back in his chair. His breathing slowed and he melted into the soft cushion. The effect was slow in coming at first. For a moment, it felt like nothing changed, that the world was still a grey, shapeless sphere that wouldn’t stop spinning. But then it all stopped. The world stood still, but burst with life. Everything snapped back into shape, becoming sharper and more vibrant. On the wall, the smiley face was glowing brightly, staring at him. He could feel the judgment radiating off of those painted eyes, or was it from another set of eyes? Sherlock felt another presence close by, yet he was alone, could see no one as his head rolled from side to side. 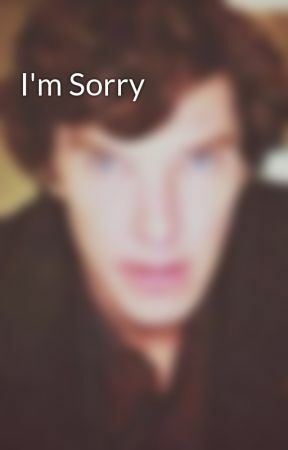 “John?” Sherlock whispered, his voice hoarse as if he hadn’t spoken for the last couple of days, and perhaps he hadn’t. He couldn’t, at present, remember. But it was possible. Sherlock rubbed his arms as if he was cold, but wasn’t. His body was warm, tingling, indecision pulsating through him. He wanted to get up and run around town, conquering all the madmen running about, while at the same time he wanted to stay put. There were experiments that could be done, discoveries that could be made. Sherlock’s mind reeled with possibility. Thunder echoed up the stairs and there was shuffling. 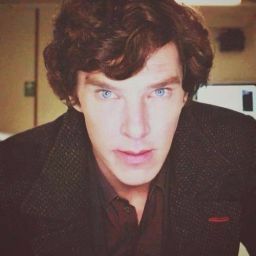 Sherlock’s head floated up to see a saturated and vibrant colored John taking off his jacket and kicking off his shoes. A smile slid across his lips. John was home now and early. Sherlock didn’t have to be as bored now. John could join in on an adventure.